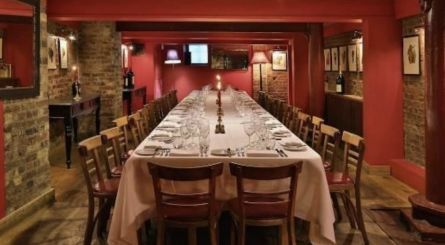 With the multitude of different styles of French dining on offer in The Capital, it can be hard to know where to look to book an event, but privatediningrooms.co.uk is here to help. 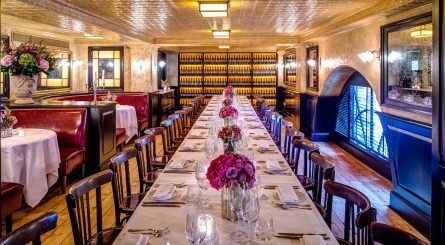 Ranging from stunning modern and glitzy venues to the older creaky townhouses of Soho there are private rooms for all different types of events whether you’re planning an elegant and formal dinner for corporate entertaining or to buzzy birthday party celebration with friends and family. French cuisine in London ranges hugely too, from Michelin starred fine dining to casual brasserie dishes and everything in between. 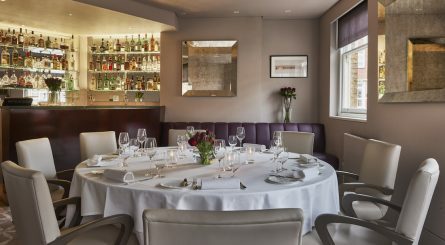 It’s always been popular, never more so than now, with perennial favourites such as steak tartare, bouillabaisse and coq au vin sitting alongside more modern interpretations of the cuisine, where classic dishes are modified to be more in line with younger tastes for less heavy creams and fats and lighter, fresher flavours. 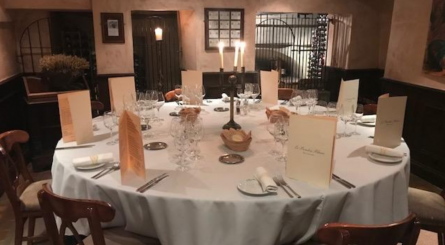 Top Tip: Most restaurants are now well aware of the need to cater for special dietary requirements but as classic French cuisine is meat, bread and dairy heavy, it’s worth checking what vegetarian, lactose and gluten free dishes are available if you know your guests have these requests. 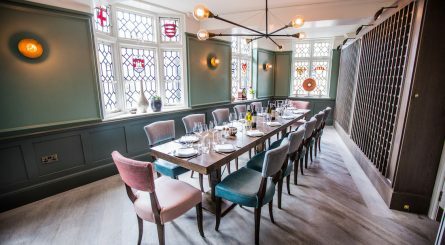 Le Pont de la Tour in Shad Thames overlooks Tower Bridge and has two private dining rooms respectively seating up to 20 and up to 25 guests. 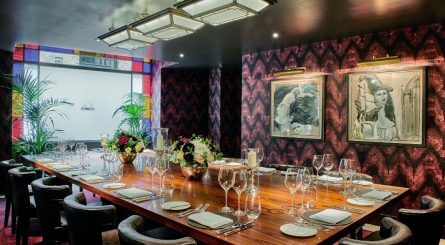 Clarette in Marylebone has two private dining rooms respectively accommodating up to 18 seated (30 standing) and 34 seated (50 standing) guests. 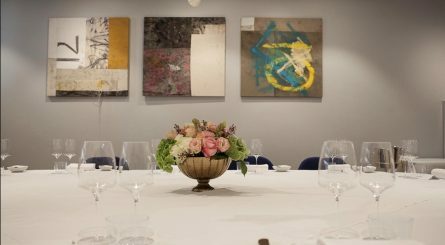 The private dining room at Orrery restaurant in Marylebone High Street seats up to 16 guests. 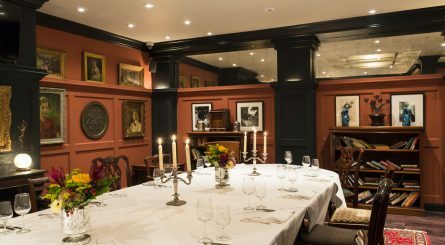 Restaurant exclusive hire also available for up to 100 seated (150 standing guests. 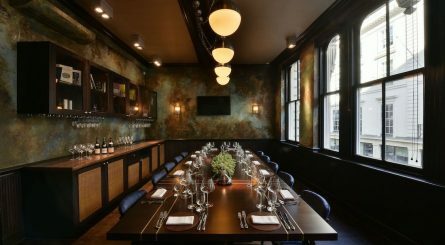 The Rooftop Terrace can accommodate up to 40 seated (70 standing) guests.